You are not logged in. [Log In] Superiorpics Celebrity Forums » Forums » Celebrity Pictures » Actresses P-Z » Yvonne Strahovski - BAFTA Tea Party Los Angeles September 16th 2017. 40 registered (hawkit, bbbblue2, Jexxin, jimboman, JohnnyGrey, MadSwede69, MewLover34, LynchManiac, mafiatonight, Andrea_Ita_84, lollipop, EDEKA, Hitman450, juvenisv, frub, jeddy77, 5 invisible), 831 Guests and 7 Spiders online. #5198809 - 09/17/17 12:00 AM Yvonne Strahovski - BAFTA Tea Party Los Angeles September 16th 2017. 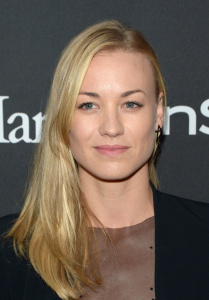 I'm always happy to see new pics of Yvonne, thanks.